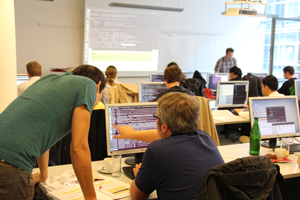 This workshop has been redesigned and adapted to the needs of beginners in the field of NGS bioinformatics. The workshop comprises three course modules. Helene Kretzmer (University of Leipzig) is working on DNA methylation analyses using high-throughput sequencing since 2011. She is responsible for the bioinformatic analysis of MMML-Seq study of the International Cancer Genome Consortium (ICGC). Dr. Christian Otto (CCR Bio-IT) is one of the developers of the bisulfite read mapping tool segemehl and is an expert on implementing efficient algorithms for HTS data analyses. Dr. David Langenberger (ecSeq Bioinformatics) started working with small non-coding RNAs in 2006. Since 2009 he uses HTS technolgies to investigate these short regulatory RNAs as well as other targets. He has been part of several large HTS projects, for example the International Cancer Genome Consortium (ICGC). 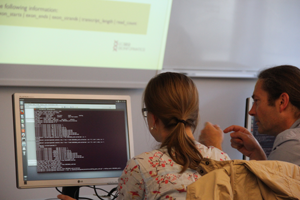 Dr. Mario Fasold (ecSeq Bioinformatics) has developed several bioinformatics tools such as the Bioconductor package AffyRNADegradation and the Larpack program package. Since 2011 he is specialized in the field of HTS data analysis and helped analysing sequecing data of several large consortium projects. 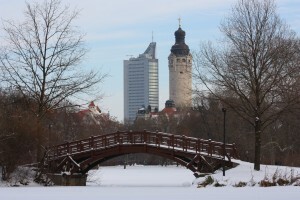 Leipzig is a modern city with many students, an international flair and an established cultural scene. There many parks and an exciting night life. 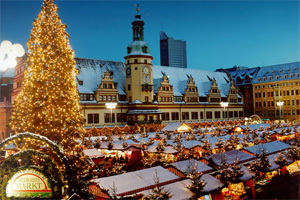 Leipzig features one of the largest and most beautiful christmas markets in Germany which takes place during the workshop. Take a look. Leipzig is only about one hour away from Berlin and three hours away from Prague. It can be conveniently reached by car, bus, train or plane (for example via Leipzig/Halle Airport or one of the Berlin airports). 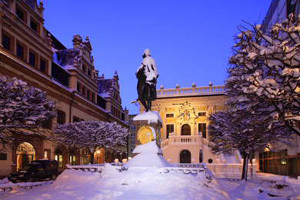 Find more information about Leipzig on its official webpage.